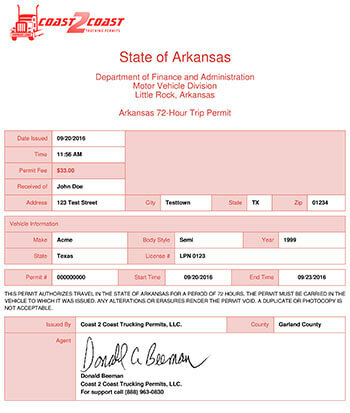 An IRP 72-Hour Trip Permit is issued in lieu of IRP plates for travel within Arkansas. This permit allows both inter or intra State movement in Arkansas. Arkansas does not participate in IFTA and therefore does not require any Temporary IFTA or Fuel Permits.